Blaster HVC Coil: For use with high rpm, long-duration applications using an MSD 6-Series Ignition. Blaster HVC II Coil: Iron U-Core design produces incredible voltage with lightning quick rise time. For use with MSD 6-Series Ignition Controls. MSD 6 HVC Coil: For professional racing applications using an MSD 6 HVC Ignition. 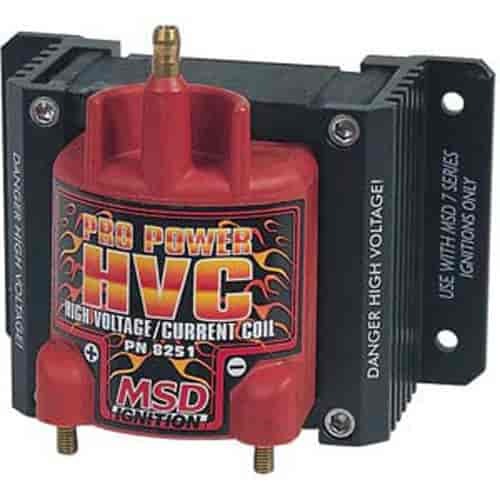 Pro Power HVC Coil: For racing applications using an MSD 7 or 8-Series Ignition Control. 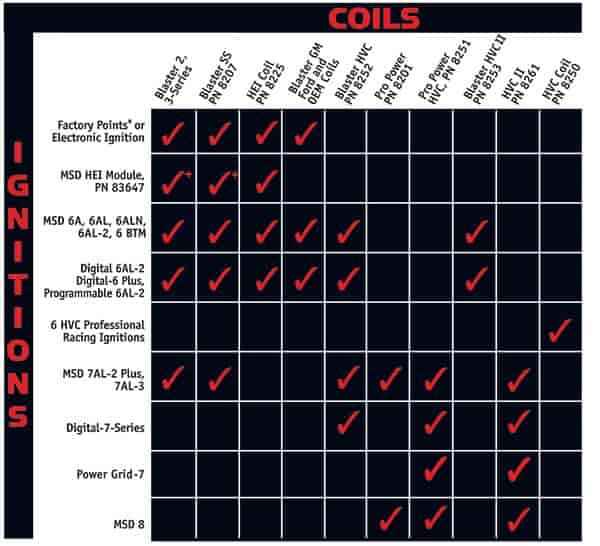 Pro Power HVC II Coil: Iron U-Core design produces incredible voltage with lightning quick rise time. For use with MSD 7 or 8-Series Ignition Controls. Note: Not legal for sale or use on pollution-controlled vehicles (121-8253, 121-8250, 121-8251 & 121-8261). JEGS Easy Kits are designed by JEGS professionals so you get all the parts you need. For small or big block Chevy, Coil Kits include a Blaster HVC Coil and JEGS Head Mount Coil Bracket. 8251 is rated 4.7 out of 5 by 3.